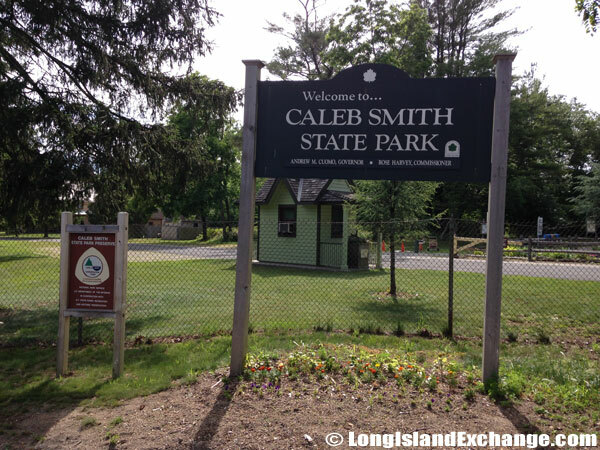 Caleb Smith State Park is located in Smithtown, New York within Suffolk County. Directions: Take either, the Long Island Expressway (495) to Exit 53 (north) or the Northern State Parkway to Exit 45 (north) OR the Southern State Parkway to Exit 41A (north); to the Sunken Meadow Parkway (north) to Exit SM 3 East to Smithtown, onto Jericho Turnpike/Route 25 (east) for three (3) miles to the park. 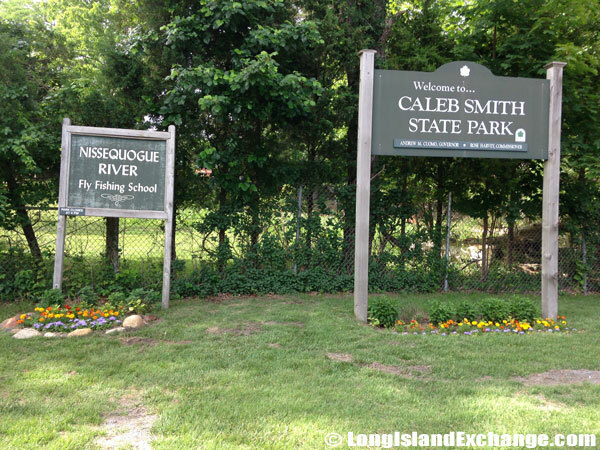 A park sign welcomes visitors to Caleb Smith State Park, a state managed park, on the North Shore of Long Island. 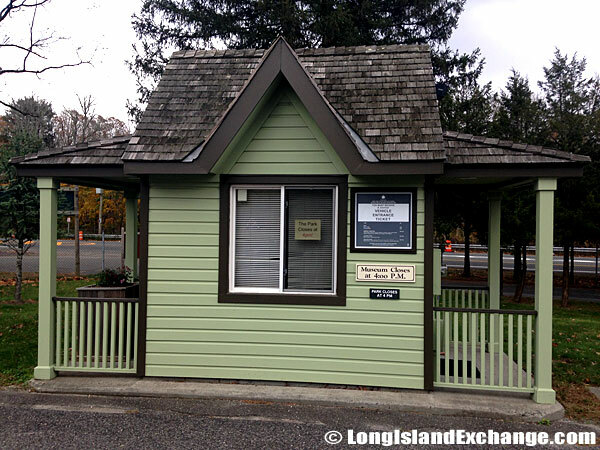 The booth which collects the park and museum fees during seasonal days and hours. Approximately 3.5 miles of the Greenbelt Trail run through Caleb Smith State Park. Overview: Everyone can enjoy the 543 acres of undeveloped, allowing visitors to explore its many different habitats including freshwater wetlands, ponds, streams, fields, and upland woods. 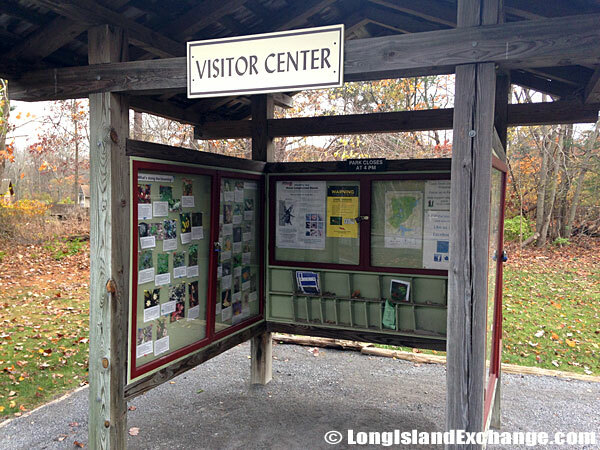 The park also operates a nature museum with wildlife displays and nature programs for children and adults. 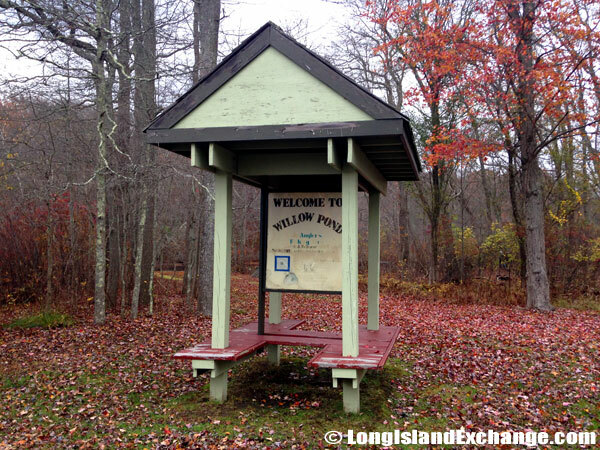 Long Island residents have the rare opportunity to experience raw nature of the quality that only tribes who live far from civilization can expect in our times. 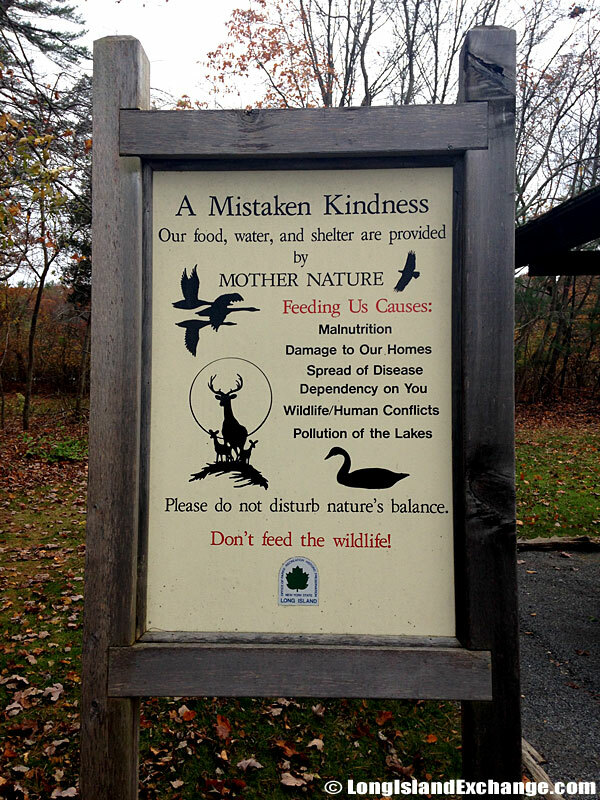 A sign reminds visitors that although they may feel that feeding the wildlife helps them, it disturbs natures balance. The visitor center just past the parking lot. 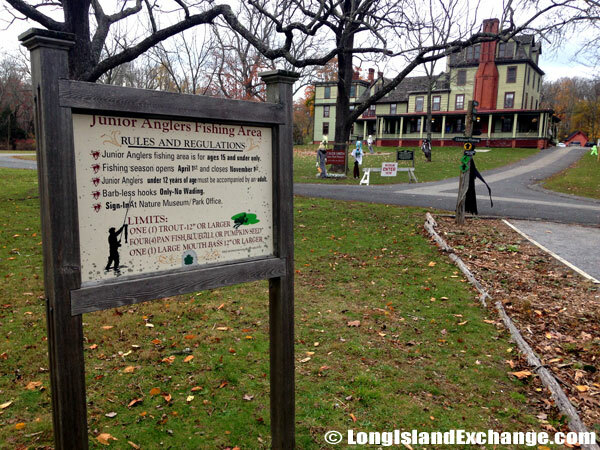 Rules and regulations for the Junior Anglers Fishing areas. The undulating land of the Caleb Smith State Park is thick with tall trees. The many hues of leaves on inter-twined branches eventually make a deep and crunchy pile on the earth below. Trails are not easy to follow, but this only adds to the romance of hiking for hours as long as the sun does not tire of trying to pierce the foliage with one of more of its persistent rays. Prior to its current name, the park was originally called Nissequogue River State Park, a name now used for parkland on the former Kings Park Psychiatric Center grounds. 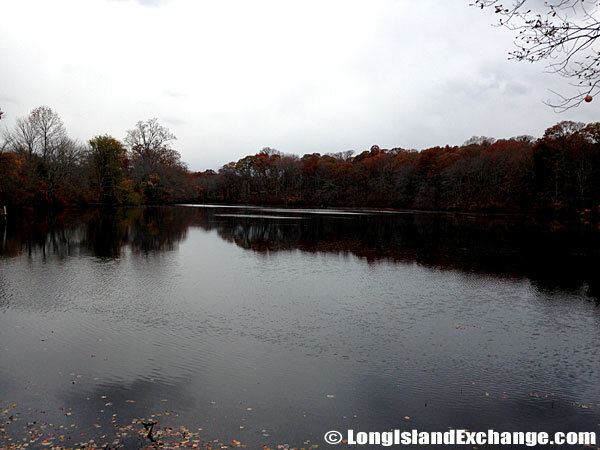 Fly fishing on the Nissequogue River is available from April 1st to October 15th. 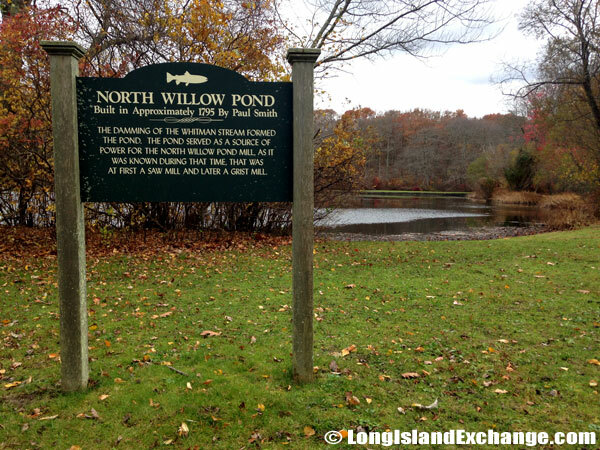 North Willow Pond, located near the park entrance. 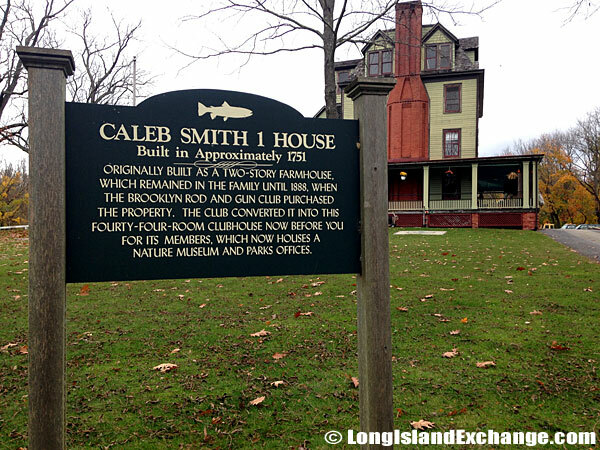 A nature museum is in the Smith Family home built in approximately 1751. History: Prior to its current name, the park was originally called Nissequogue River State Park, a name now used for parkland on the former Kings Park Psychiatric Center grounds. 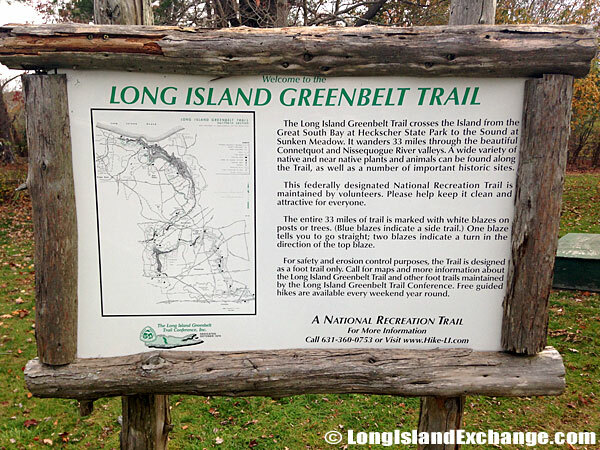 Before that, it was simply known as the Wyandanch Preserve. They lived here many centuries ago, nursed by the bounteous Nissequogue River; the cheerful and carefree waters of which flow on in never-ending cycles of evaporation, drainage in to the Long Island Sound and fresh precipitation around the eternal springs that feed it from beyond the borders of this Park. Spending time in this environment where almost nothing has ever changed, bonds our generation with ancestors far removed. The Friends of Caleb Smith Preserve often host freshwater Junior Angler fishing tournaments here. 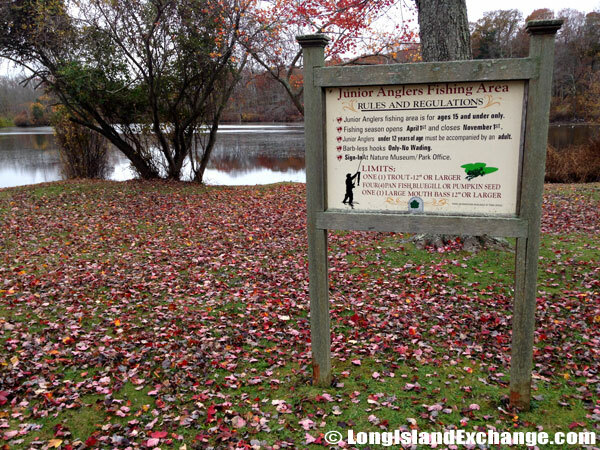 Many migrating ducks spend the entire winter here on Willow Pond. 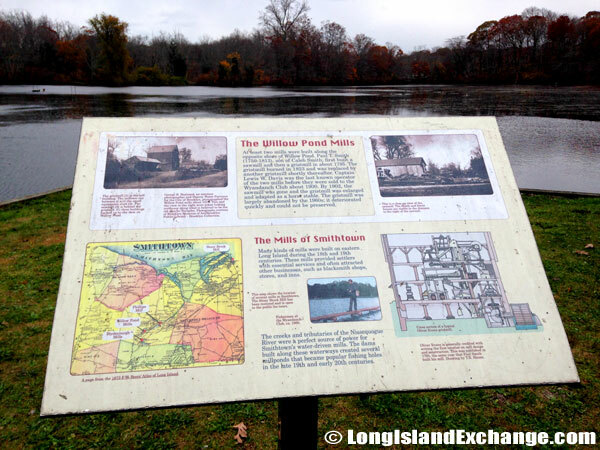 An information plaque offers a bit of history with a view of Willow Pond. Facilities: The Caleb Smith State Park Preserve has self-guided 1/2-mile trail accommodating wheelchairs, plus 1-mile and 2 1/4-mile self-guided trails (free tree guide at office), 3 1/2 miles of Greenbelt Trail, nature museum, fly-fishing, junior angler’s fishing area, bird walks, geology workshops, clinics, and family programs. A seating area offers a sheltered view of Willow Pond in the rain. 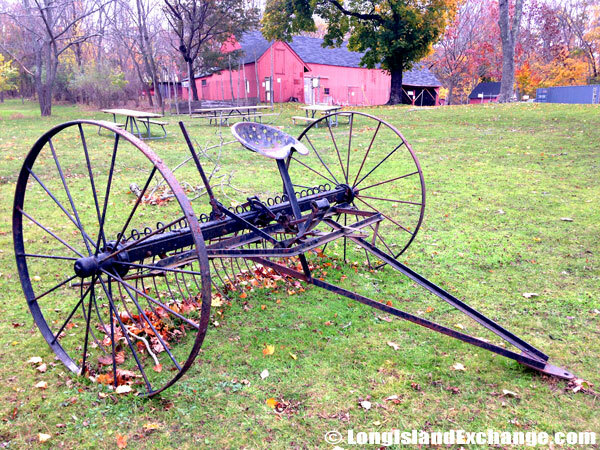 A vintage horse drawn rake on display just west of the museum home. 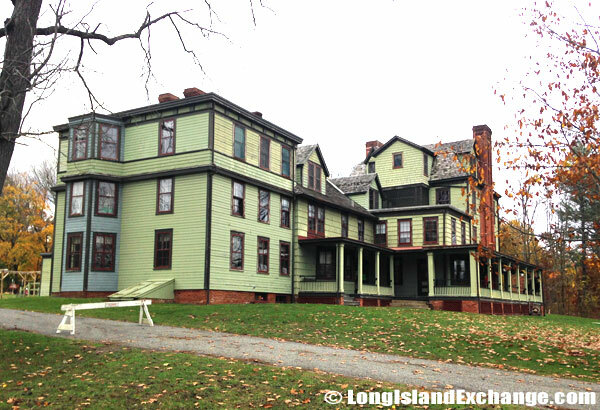 The Smith Family home and Nature Museum offers natural history exhibits, rare plants and environmental education programs year round for schools at all grade levels. 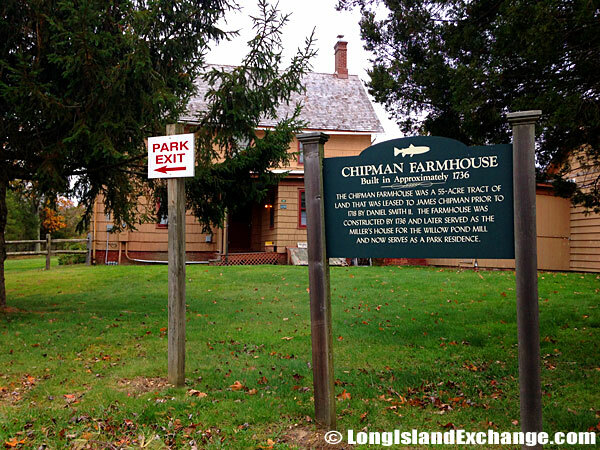 The Chipman Farmhouse built in approximately 1751. Events: Beat the Heat, Animal Olympics, South Side Saunter, Buzz Says the Bee, and Wet-n-Wild (no dates set).